IAG’s bulletin means that not only has it lost interest in Norwegian, it’s dumping its holding as well. That sent the airline’s share price down to NOK 140 at the close of trading on the Oslo Stock Exchange Thursday. As newspaper Dagens Næringsliv (DN) noted, Norwegian’s share price hasn’t been that low since December 2012. 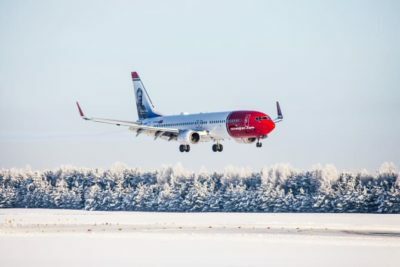 Norwegian Air’s founder and largest shareholder Bjørn Kjos has said he didn’t want to sell the airline that he launched as a low-fare domestic carrier within Norway, later expanded widely around Europe and then with intercontinental routes in 2013. They were plagued by nagging problems with Norwegian’s fleet of new Boeing 787 Dreamliner jets, however, and Norwegian has long been vulnerable to its lack of back-up aircraft when things go wrong. Nor is Norwegian a member of any airline alliance that can help when passengers get stranded at various locations around the globe. Norwegian Air, burdened by heavy debt, now also faces a lack of capital needed for its aircraft financing, with new capital needed within the first quarter. It has firmly denied cash-flow problems, though, and has been working hard to avoid violating terms of its financing. “Norwegian is in a terribly demanding economic situation,” Hermanrud told DN. He thinks there may, however, still be hope for “a transaction” that can bail the airline out of its troubles.